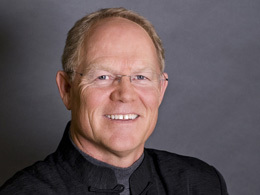 Hank Hanegraaff is the director of the Christian Research Institute, tracing their roots back to the famous 20th century Christian apologist, Walter Martin, who wrote a rather influential book at the time, Kingdom of the Cults, which is probably one of most defining popular studies of pseudo-Christian and other cultic movements, that continues to inform students of the Bible even today. Hanegraaff is Martin’s successor, but you maybe surprised to know that he has become a critic of dispensational theology. For example, remember from our last post in this series, that Daniel 9:24-27 from a dispensationalist perspective, focuses on the first 69 weeks of the Daniel’s prophecy as being relevant to the time period of Christ’s first coming. The last, or 70th week, of Daniel is not related at all to Christ’s first coming. Instead, there is a gap between the 69th and 70th week, of an unknown period of time. This is the view that was taught exclusively to me by my church during my college years. However, there are a number of scholars and Bible teachers, like Hanegraaff, who question the assumption that there is a gap between the 69th and 70th week. As to what I have highlighted above, this is a good point. With the possible exception of a handful of references and allusions (Matthew 24:15, Mark 13:14, and Luke 21:20-21 being probably the strongest ones), why does the New Testament appear to largely ignore such a potent Old Testament prophecy? Yet, Daniel 9:24-27 has been a staple passage of the Bible for the past one or two hundred years, referenced more than any other, as being perhaps the most important prophecy about the Messiah in the entire Bible. So, why has this particular prophetic proof, as found in Daniel 9, been regarded as so crucial… only in more modern times? Now, I am not saying that a dispensationalist reading of Daniel 9 is necessarily wrong. There could very well indeed be a “gap” between the 69th and 70th weeks, etc. A dispensationalist approach to Daniel 9 has a lot going for it. The Coming Prince: Antichrist, Titus, or Jesus? Concerning the identity of the “prince who is to come” (v. 26), whose “people” will “destroy the city and the sanctuary,” it is generally agreed that the “city” is Jerusalem and that the “sanctuary” is the temple. 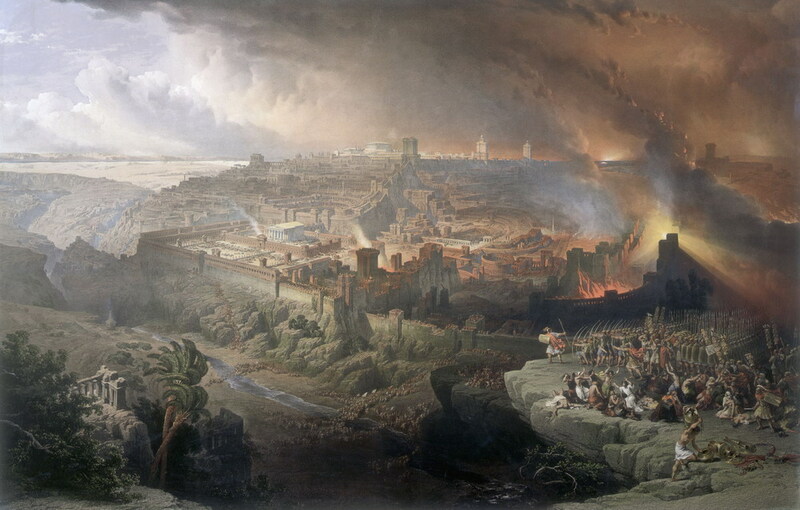 Most commentators therefore agree that this must be talking about the destruction of Jerusalem and its Temple by 70 A.D.
A covenantal futurist view: Titus, the Roman general (prince), who along with his army (people), destroyed the Temple in Jerusalem, and the city itself, in 70 AD. 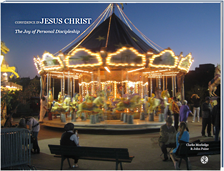 A partial preterist view: Jesus Christ (prince) brings an end to the Jewish sacrificial system. Yet by rejecting Jesus as their Messiah, the Messiah’s “people,” the Jews, bring destruction upon themselves through the destruction of Jerusalem and its Temple, in 70 A.D.
A dispensationalist view: The army of the Roman empire (people) of the First Century destroyed Jerusalem and its Temple in 70 A.D.. However, just prior to the future Second Coming of Christ, the Antichrist (prince) will lead a “revived” Roman empire to bring great distress during a coming seven-year Great Tribulation. All three views listed “work” as possible interpretations for the “prince” and his “people.” But which view is correct? It is difficult to tell without trying to assess the assumptions that various interpreters bring to the text. I am greatly oversimplifying here, but a brief description will broadly illustrate how these assumptions work. Covenantal futurists are concerned mainly with how the covenantal purposes of God transition between God’s purposes for Old Testament Israel to God’s purposes for the New Testament church, made up of both Jew and Gentile. Based on this assumption, the destruction of the Temple marks the end of the old covenant, which was taken over by the new covenant established by the work of Christ, accomplished decades earlier. Therefore, this approach simply considers the direct actors involved in Jerusalem’s destruction (Titus and his army), since the function of the Temple by then had already lost its meaning. Partial preterists assume that the first coming of Jesus the Messiah is the primary focus of the “Seventy Weeks” prophecy. Therefore, Jesus is always the central character in the entire prophecy, and consequentially, the prophecy at this point illustrates the conflict that Jesus had with his own people, the Jews. Dispensationalists assume that God’s future purposes for national Israel must be kept in view, along with the coming of the Messiah. Therefore, Daniel 9 must be interpreted to somehow tie in the events of the first century, such as the destruction of the Temple, with the coming restoration of national Israel. The coming Antichrist would fit here, assuming that the Antichrist is also the one who makes and breaks a covenant with future Israel (see verse 27, particularly in The Living Bible translation, to see how this works out). As a result, this approach splits the references in this part of verse 26, such that “the people of the prince who is to come (ESV),” shows that the “people” come in the 1st century A.D. to fulfill the part of the prophecy about Jerusalem’s destruction, and that their “prince who is to come,” the Antichrist, comes much later, just prior to the Second Coming, which is still a future event. Yeah, it can get pretty complicated to follow everything here… I know. Each one of these views has been held by various Christians over the centuries of church history, by scholar and non-scholar alike. I do not need to “reinvent the wheel” by explaining things that others have expressed better than I can, but I have taken the time to list for you some of the better resources readily available on the Internet. In particular, I recommend the teaching video, at the bottom of this blog post, by Steve Gregg, of the Narrow Path Ministries, explaining some of the difficulties with the dispensationalist approach to Daniel 9. Steve Gregg is a former student of the late Chuck Smith, the founder of Calvary Chapel, one of the most vocal proponents of dispensationalism in the 20th century. Steve Gregg now believes that the dispensationalist view of Daniel 9 falls short. In the next post, I will examine the question of why the dispensationalist approach to Daniel 9 has been so influential in the church, over the past few hundred years, by examining some of the history of how this view developed. Here I have collected some additional resources to sort through some of the most common interpretations of Daniel 9’s “Seventy Weeks.” First, let us clarify some of the issues that Hank Hanegraaff lists as difficulties in nailing down the right interpretation. Which starting date best matches the starting conditions mentioned in Daniel 9; such as, rebuilding Jerusalem and the Temple, rebuilding the city walls, etc.? Furthermore, how reliable are these dates? What are the objectives to be met by the end of the seventy weeks; such as, to finish the transgression, to put an end to sin, and to atone for iniquity, to bring in everlasting righteousness, to seal both vision and prophet, and to anoint a most holy place (from verse 24, ESV). Are these things that the coming of the Messiah is supposed to accomplish? How do you count the seventy weeks, that some would say are 490 ? Are they solar years (365 days), lunar years (360 days), or some variation (leap year days, and adjustments to lunar calendar), or are the 70 weeks symbolic? If the death of Jesus plays a role in the seventy weeks, as most interpreters believe, what is the date of his death? Evidence from astronomy suggests that it is 33 A.D. But there are other possible dates: 31 A.D.? 30 A.D.? Critiquing a dispensational point of view (somewhat technical, but excellent): Vern Poythress at Westminster Theological Seminary offers a more traditional approach to the text. Bottom line: Many dispensationalists use Nehemiah 2:1-8 as the starting point of the Seventy Weeks, which Poythress says is incorrect, since Nehemiah mentions only the rebuilding of the city of Jerusalem, and not the rebuilding of the Temple. Instead, the decree of Cyrus is a better, and more biblically accurate starting point, since Ezra specifically mentions the rebuilding of the Temple. Gary Demar, who is the object of critique in much of Thomas Ice’s presentation, in the previous blog post in this series, wrote Last Days Madness, which is critical of Ice’s view. Chapter 25 (p. 323-335) directly challenges Ice’s dispensationalist view. Another critique of a dispensational point of view (somewhat technical): Kenneth L. Gentry gives a provocatively different twist from Poythress, arguing for what some would call an orthodox preterist interpretation. Sam Storms, an amillennialist Bible teacher, in contrast with Gentry’s preterist view above of a more literal view of the “seventy weeks,” argues in this article that the “seventy weeks” can not be interpreted as a literal 490 years. In Storms’ words, the “seventy weeks” are to be interpreted theologically and not chronologically. Seventh-Day Adventist Bible teacher John Lomacang gives a Seventh-Day Adventist approach to Daniel 9’s “Seventy Weeks,” starting at about the 7:00 minute mark of this video. Informed orthodox Jews, such as the anti-missionary JewsForJudaism.org and another Jewish blogger, reject the dispensationalist approach as being confused by mistranslation, etc, seeing that the focus for the passage is not in announcing the Messiah, but rather, in predicting the destruction of the Temple in 70 A.D. For a video presentation, Rabbi Michael Skobac with Jews for Judaism, tells why he thinks Daniel 9:24-27 is not a valid prooftext to support Christianity. I am not endorsing these websites, but I think they serve as good examples as to why the dispensationalist approach to Daniel 9 is not always convincing to Jewish people. See this response from a messianic Jewish website. If you only have about an hour or so to study Daniel 9, start with this: Bible teacher Steve Gregg, of NarrowPath.com ministries gives a really engaging teaching regarding Daniel 9, examining the dispensationalist approach and offering some alternative viewpoints. This entry was posted on Sunday, December 11th, 2016 at 9:41 am	and tagged with advent, daniel 9, dispensationalism, eschatology, hank hannegraaff, John MacArthur, seventy week, sir robert anderson, vern poythress and posted in Apologetics. You can follow any responses to this entry through the RSS 2.0 feed.